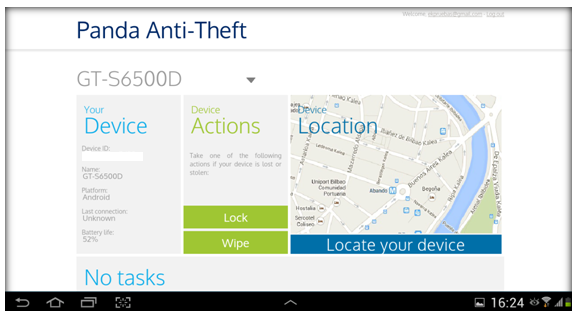 How can I locate a lost or stolen device with Panda Mobile Security? Select the device you want to locate and click Locate your device. In a few seconds your device will appear located on the map. Panda Mobile Security uses GPS to locate your devices. If the GPS function of your device is not on, Panda Mobile Security will try to get the location of your device either via WiFi or 3G.